An imaginative fusion of classic flowers! Tulips and gerberas are adorned with a handful of daffodils and irises and finished with leaves and green to a work of art! This product will be delivered by a local florist. Price excludes 6,00 € delivery- and ordercosts. Flowers are a natural product, so the flowers can be slightly different. In case the flowers are not in stock we will contact you. 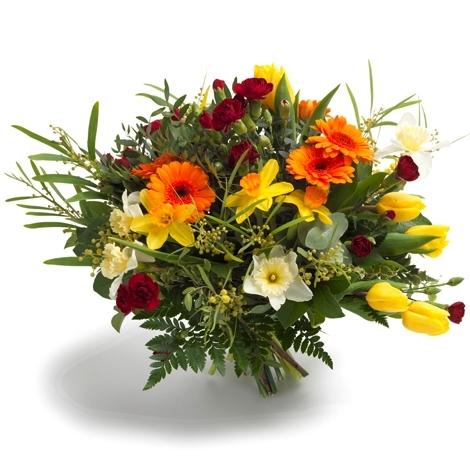 If the flowers are not in stock at the florist, we try to get them delivered. 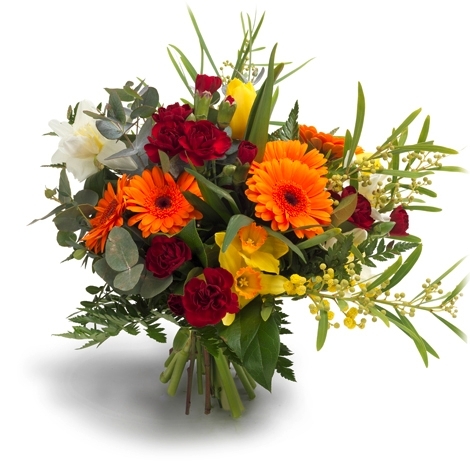 If it is not possible due to the desired delivery date, our florist will try to use equivalent products. Please note: not all flowers are always available at the local florist. Thus, the bouquets may differ in shape and color from the picture. This product can be delivered today! Order before 15:00 on weekdays, have it delivered the same day throughout Germany. Prices are including 7% VAT and excluding only 6,00 € delivery- and ordercosts. If you choose to pay by invoice, invoice costs will be added. It is possible that the flowers we deliver deviate from the photo. This can be caused by lack of availability of certain types of flowers. 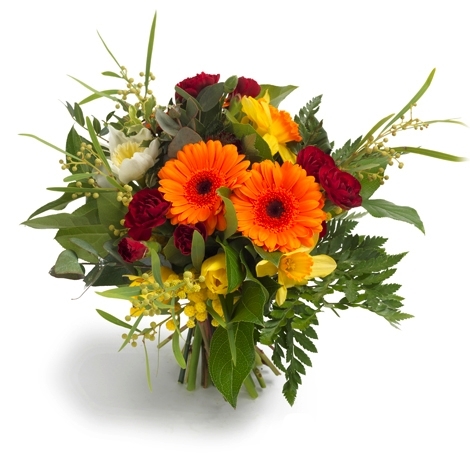 It can also occur that our florist uses different colors, because the requested color is not available. The florist will always try to make a bouquet which closely resembles this product. If you have any wishes regarding the color, please communicate them to the florist by writing them in the "Note to florist" field during checkout.